There’s no place on earth quite like Moab, Utah. This area of southeast Utah is hailed as a haven for outdoor adventure: hiking, climbing, caving, and mountain biking are all extremely popular in the region. It’s one of the most exciting shared-use areas in the country, so don’t be surprised when you come across jeeps, ATVs, motorcycles, and other vehicles as well! 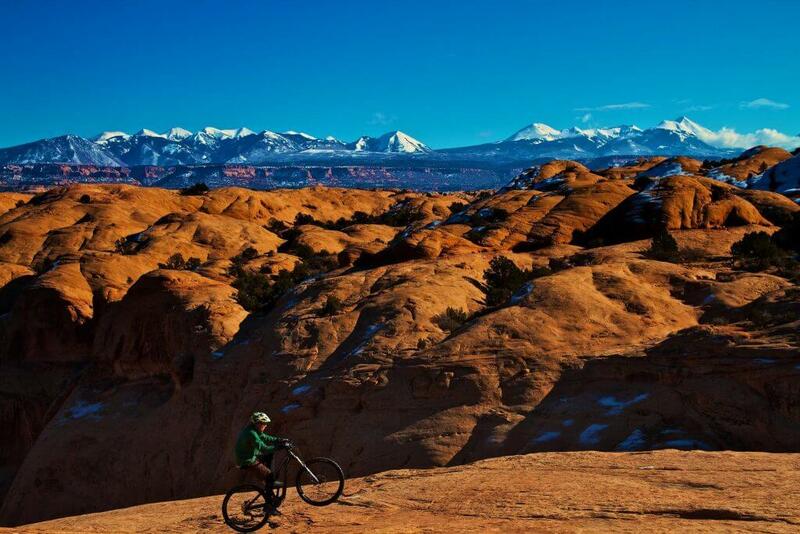 Moab is home to one of the most well-known bike trails on the planet: Slickrock. The Slickrock Bike Trail offers 10 miles of twisting and turning fun over Navajo sandstone with enough steep climbs and descents to keep even the most experienced cyclists’ blood pumping. This is an intermediate to advanced trail, but you can always check out the Slickrock Practice Loop for a quick taste of the full ride. Slickrock Bike Trail can be found in the Sand Flats Recreational Area, just east of town. If you’re looking to plan a multi-day trek – or a long day of riding – the 103-mile White Rim Trail might be just what you need. This loop of jeep roads cuts through Canyonlands National Park and is often completed as part of a vehicle-supported ride for those who wish to see it all in a day. If you’d like to ride the entire length and set up camps at night, be sure to obtain the necessary permits from Canyonlands National Park. Okay, so the Amasa Back Trail System isn’t really new – it’s actually a Moab classic – but it has been expanded and improved to keep up with growing demand for new sights and challenges. The system is quite technical in places, with plenty to offer experienced riders. This is not a trail system to be taken casually, so stay alert for drops, ledges, and loose rock. Yeah, that’s really the name. The Whole Enchilada Trail System is so named for good reason. This trail offers it all, including some of the most technical and endurance-based challenges a cyclist can face in Moab. This trail is 33 miles long, and the elevation changes are eye-popping: a whopping 2500ft gain and 8000ft drop. You will need to take a shuttle to Geyser Pass, and from there you will head up to Burro Pass where you can find an awesome view of the San Juan Mountains if the conditions are right. The following descent is steep – prepare for an adrenaline rush – and will take you to the Hazard County Trail. Kokopelli is next, followed by the UPS and LPS singletracks. 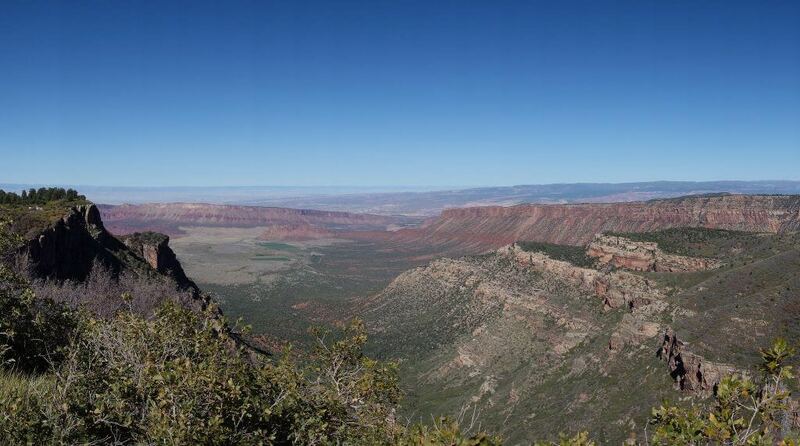 Next, you’ll find yourself on the challenging and awe-inspiring Porcupine Rim Trail, a classic Moab trail in itself. This final leg is recommended for advanced riders with lots of technical skill. Bartlett Wash is a playground of slickrock, worn and polished into amazing shapes that make for excellent riding. Who would have thought that nature would so aptly provide ramps, drops, and winding slopes – so much topography that a rider could easily spend all day playing around. While Moab offers a variety of singletrack trails, Fisher Mesa offers spectacular views and some intermediate-to-advanced level technical. Just remember that the ride out is the easy part! Conserve some of that energy for the uphill trudge back to the trailhead. Moab can be a harsh territory to explore. Be absolutely sure to prepare for your adventure with navigation gear, safety equipment, and lots of water. When mountain biking, you’ll want good tires, effective brakes, and replacement parts for common failures. Be especially cautious when preparing for The Whole Enchilada. This is a real trek, not to be underestimated. If you think you have enough food and water, you should probably pack more. Be prepared for a trail that wants to tear up your bike – the right tools and spares are essential. And a final safety lesson that has been reinforced famously by this region: always tell someone where you’re planning to ride. While it’s easy to get caught up in the rush of hitting the trail, you should never venture into the wilderness without a backup plan and people who can alert the authorities if you get lost or injured. 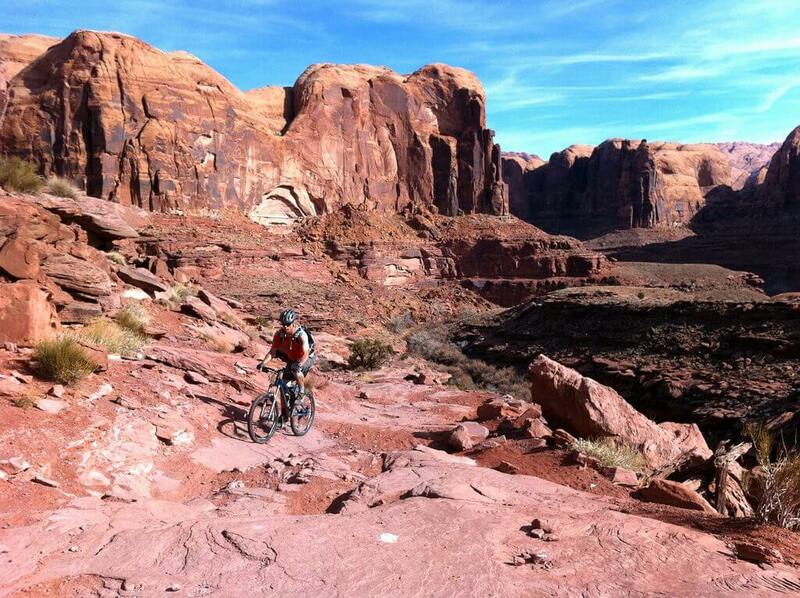 Moab really is mountain biking heaven. There are few places in the world that can boast an adventure for riders of all skill levels and continue offering a challenge to veteran riders and local regulars. 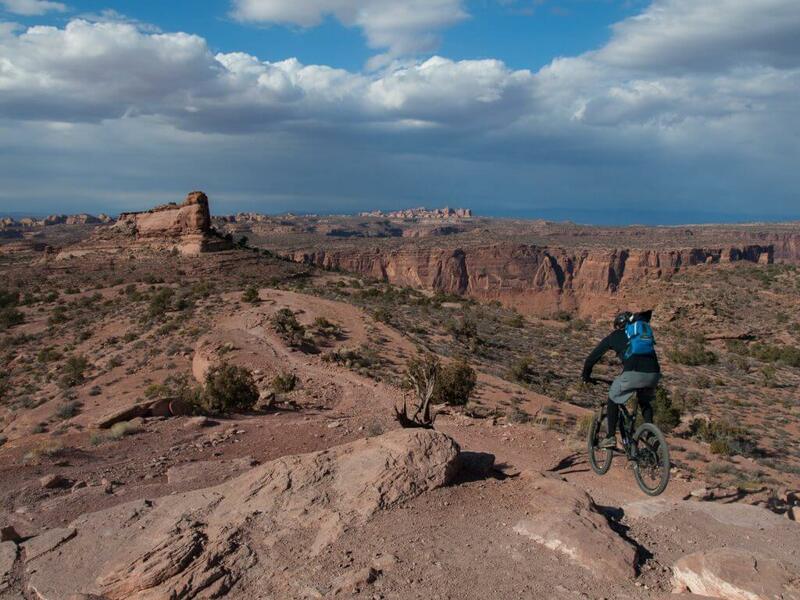 No second thought is required; if you’re interested in beautiful vistas, outdoor excitement, and an unforgettable ride, you need to head to Moab, stat! 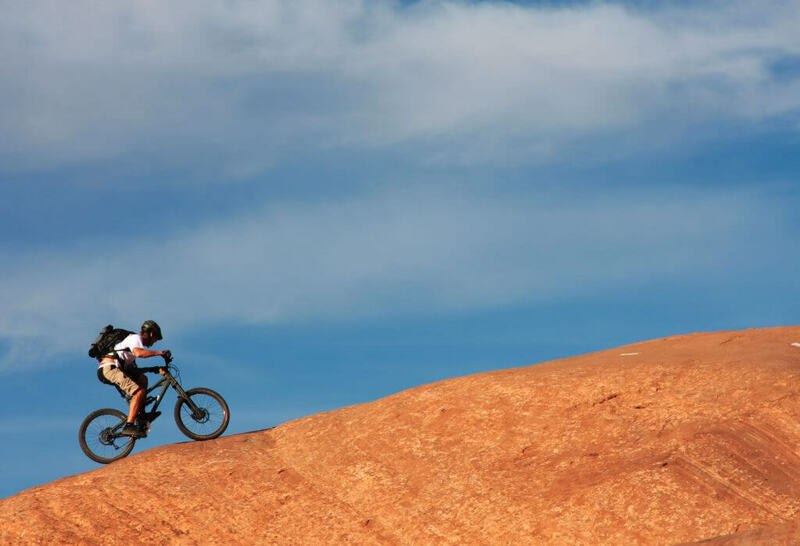 This entry was posted in Mountain Biking and tagged Amasa Back Trail, moab biking, mountain biking, riding, slickrock bike trail, The Whole Enchilada Trail, trail, White Rim Trail.